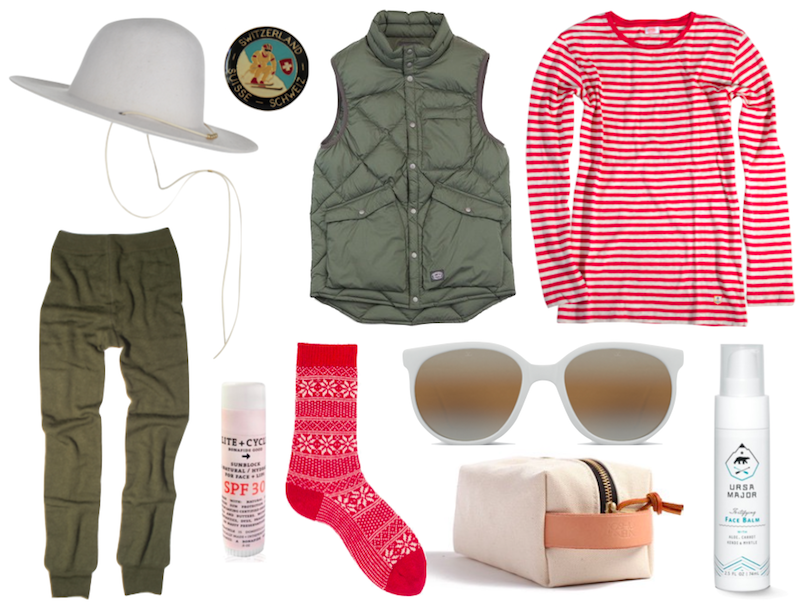 New in stock in white, grey and black: The Woolrich x Westerlind felt flat-brimmed hat ($118); Vintage Swiss ski pin ($9); Snow Peak Down Vest ($240); New Armor Lux long-sleeved marinere in red ($99); Ursa Major fortifying face balm ($36); Joshu+Vela white waxed canvas dopp kit ($70); Vuarnet classic 002 sunglasses ($169 on sale); Lisa B. cashmere blend snowflake socks ($24); Lite + Cycle sun stick for face and lips ($16); Woolpower long johns ($69 on sale). Nice designs were I can order this stuff? ?